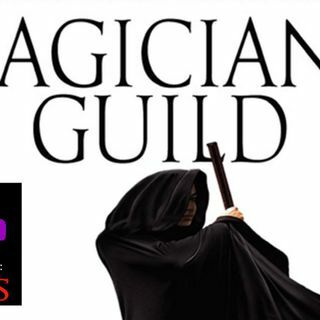 These first chapters establish a world where Magicians are part of an elite class of people, despite the fact that magic can surface in any class of person; unless you have the money for tutors and a magic-focused education, you're not going to be admitted to ... See More the Guild. In the cases when someone with magic is not deemed worthy, the Guild binds and suppresses that person's magic and then dumps them back out into the world. Sonea is a lower-class girl who suddenly finds herself exhibiting powers she didn't know she had, and since the Guild sets someone on fire because they suspect he did the magic, it's quite understandable that she decides to hide. Not all the Magicians are terrible people, but they sure don't trouble themselves to make nice with the public, and Sonea pretty much believes them all to be monsters. Girl, I get it. Thanks so much for listening, and thanks again to Ashleigh for starting me on this series!